Portugal seems to be a bit off the grid, among American tourists. Inexpensive, lots of sun — but not a priority. In practice, it is a country Yanks visit only after seeing the leading sights of Europe, led by those in France and Britain. 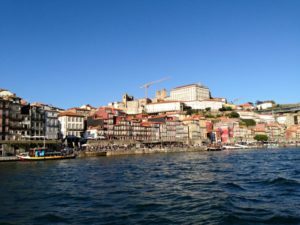 It turns out that Portugal’s second city, Porto, is in itself interesting enough to make an initial visit the country. And we have Lisbon and the sun-drenched Algarve ahead of us, still. 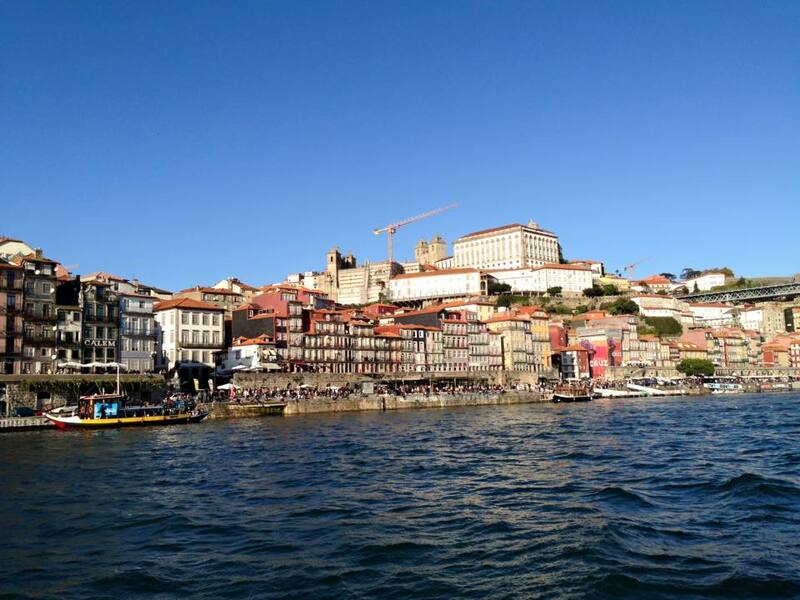 Porto is better known and more often seen by Britons for a couple of good reasons. –It was a center of the centuries-old business of producing the fortified and aged wine so popular in England. The one known as … Port. From “Porto”. –It is only 2.5 hours in flying time from London. Making it an easy trip for Brits — with a significant upgrade in ambient temperatures. The old town is not a marvel of gentrification; some buildings are falling to pieces, actually. But enough is going on here, from a bridge designed by Gustave Eiffel to ancient churches and museums, for Unesco to have declared Porto a World Heritage Site. As can be seen in the photo, above, the area along the River Douro is an epicenter of color and energy and history. And it makes one a bit fonder of the place that a quick ride across the river deposits the tourist in front of the buildings where Port wine is made. Portugal is not a wealthy country, and that can be seen sometimes in ragged infrastructure. 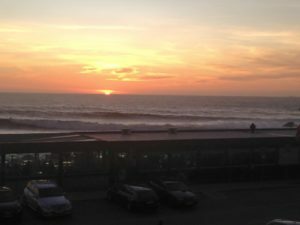 But Porto seems to work well enough, and in 20-30 minutes we can be on the beach south of town, watching the surf and some fine sunsets. Yes, go to Paris or London first. 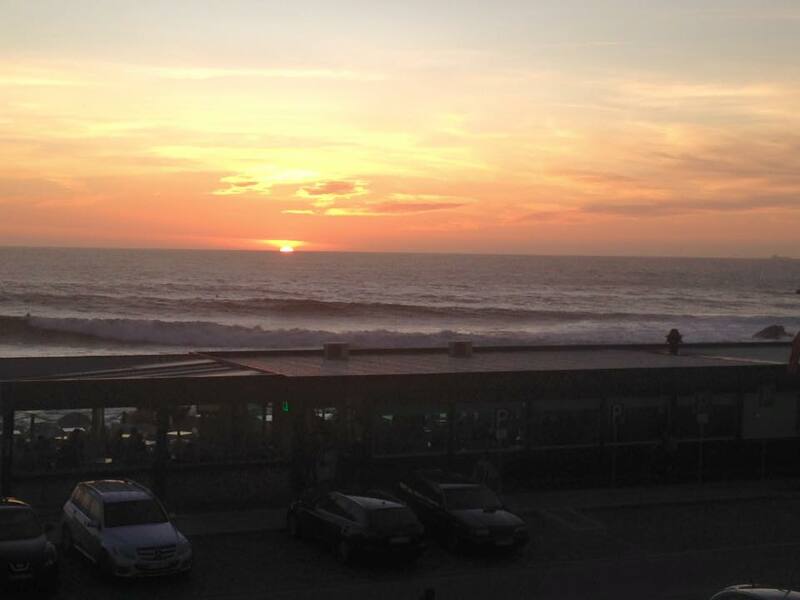 But if you get a chance to see Porto, take advantage of it.